At the time of your arrival our driver will greet you & assist you with your baggage to the Vehicle and drive you safely to your Hotel or Residence. Keep your booking voucher ready as you proceed to the Bookmywifi counter at Terminal 1 or Terminal 3 of Dubai International Airport. Once you redeem the voucher which is valid only for the specified date, you’ll be able to activate your chosen 4G SIM card such as Starter Pack, Regular Pack, Lite Pack, or Heavy Pack and start texting, browsing and chatting. All these packages offer a validity period of 30 days from the time you activate it. Drive through the city of skyscrapers with detailed information provided by our knowledgeable tour guides about every significant place of this emirate which includes Glamorous shopping malls, Cultural Heritage, world-class architecture and the tallest tower in the world -The Burj Khalifa. Special note: The pick up/drop off timing can be modified as per the trip schedule by 30 to 60 minutes, depending on your location and traffic conditions. Get a slice of Dubai’s luxury for less with our ultimate combo pass. You’ll get to travel in the fastest elevator that takes you up to Burj Khalifa’s 124th floor within a flash of seconds. Marvel at the enchanting 360 degree views of the whole city and beyond from its Observation Deck containing advanced telescopes. Also, enjoy a multimedia presentation portraying different stages of Dubai’s history, along with interesting info on the design and build of this marvelous structure. This is not the just the highlight of the trip. Before the tour ends, you can enjoy a multicourse lunch within the uber classy ambiance of Armani Deli, which overlooks the captivating Dubai Fountains. Enjoy our desert safari tour that provide you an ultimate adventurous experience with Dune bashing on the sand dunes in a 4X4 vehicle, camel riding, various photographic opportunities, belly dancing show, Tanura dance show and BBQ dinner with vegetarian and non-vegetarian food options. 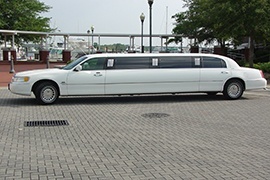 Live the Royal moments by taking a drive in the stretched AC limousine with our Limousine Tour. This tour is on hourly basis. A drive in limousine is specially meant to enhance your special moments; it has comfortable seating arrangement, music system, and water available for you. We provide a professional driver who has complete knowledge about locations in Dubai and has a friendly yet professional approach. 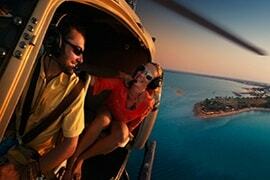 With Rayna Tours’ helicopter tour, enjoy Dubai’s iconic landmarks from a standpoint of absolute awe and majesty. Arrive at the launch site upon a convenient pick up from your hotel or desired point in Dubai. After safety briefing, board our state of the art aircraft for a 15 minute or 25 minute helicopter ride. Revel in the unequaled aerial sights of Burj Al Arab, Palm Atlantis Hotel, World Islands, and Palm Island, as it lifts you off to a height of over 1200 feet. Also, hover over enchanting Dubai Creek and glitzy Sheik Zayed Road during your ride. At the end, we’ll drop you back to your Dubai location.Special Note-It is mandatory for all Travelers to carry their original Passport copy at the time of your Tour. Explore the capital of United Arabian Emirates with our Abu Dhabi city tour, driving through the stunning Sheikh Zayed road, visiting Sheikh Zayed Mosque, Ferrari world, museum and world class shopping malls. With our Abu Dhabi tour you can also drive through Emirates palace and Presidential palace which are well-known for the ambience. Our driver Picks you up from your Hotel and drives you all around the Markets in Dubai from the Gold Souks to the Spice Souks for a wonderful shopping experience and drives you back to your Hotel. Go for an awesome experience of cruising with our Dhow cruise Marina tour. This two hours cruising tours has a complete package with entertainment, Buffet Dinner and beautiful scene of Burj Al Arab, Atlantis and Marina. Special Note: The pick up/drop off timing can be modified as per the trip schedule by 30 to 60 minutes, depending on traffic conditions and your location. At the time of your departure Our Driver will Pick you from your desired hotel in Dubai and drop you at the Dubai International Airport. Our Grand Tour Dubai is especially for those who want to treat themselves with a bit extra special on their well-earned vacation. Whether you wish to explore the city in absolute royalty or would like to savor the choicest culinary specialties by award-winning chefs or even want to take to the skies, your eight nights in Dubai guarantee signature experiences, combining the crème de la crèmes with high-class privileges along with a 4G SIM Card pick up when you are at the airport to stay connected with your family and friends. An all-inclusive city tour offers the most gratifying experience of enjoying Dubai’s remarkable blend of old and ultra-stylish sights. If you wish to travel around the city in absolute style, enjoy a super luxurious ride aboard our spanking new Lincoln Limousine. Now for the most exquisite views of Dubai’s monumental architectural marvels and scenic beauty, take off on a helicopter flight which feasts you with an unrelenting spectacle of Dubai’s mesmerizing landscape from a height of more than 1200 feet. What’s a luxury vacation without indulgent dining choices? 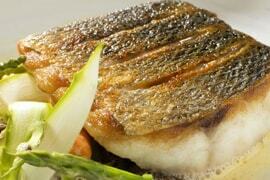 That is why we have incorporated some of the most prized culinary tours. Beyond top-notch foods and drinks, it leads you to Dubai’s most legendary attractions. Dine on sumptuous delicacies as you immerse in the extravagant settings of sail-shaped Burj Al Arab. Paired with a visit to Burj Khalifa’s ‘At the Top’ Observatory, your gastronomic experience within the stylish ambience of Armani / Deli is equally drool-worthy and splendid. For a slice of classic Emirati heritage, you’ll go on an outstanding dinner cruise along the super glamorous sights of Dubai Marina onboard our traditional wooden dhow, besides taking an epic desert safari interwoven with super adventurous and mind-boggling cultural activities. 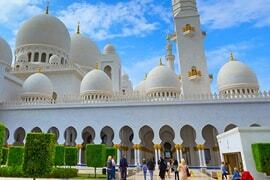 A personalized shopping tour and an excursion to the UAE’s culturally-enriched capital city, Abu Dhabi, are other highlights of your Grand Tour Dubai. We had the best fun-filled 8 days holiday in Dubai! Each and every tour was well-planned and well-executed. If I have to pick the best tour amongst all the others, I would say that it was the helicopter tour. Thank you Rayna for this memorable holiday! The 8 nights in Dubai was really a grand holiday. I never had so much fun in my life. All the tours were amazing, especially the Burj Khalifa tour and the desert safari. The shopping tour was a real bonus. I also got to enjoy a ride in a limousine as well as a helicopter. I would recommend this tour to anyone who is looking for something different. Truly a grand tour with royal treatment! It was really a grand tour that gave us several royal moments. Thank you Rayna Tours for pampering us to the core and making us feel privileged. Taking Dubai city tour with a friendly tour guide was very informative. He took us to all the significant tourist sites and allowed us to take photographs and ask lots of questions to our heart’s fill. The details that he provided about the sites were interesting.The tour was inclusive of passes to the Observatory Desk of Burj Khalifa and we had captivaing views of the city. We loved dinning at the Armani/Deli. The starter of mozzarella with chery tomatoes, the main dishes of risotto with seafood, and the desserts of tiramisu and cheese cake were excellent. We got the real taste of outdoor adventure with the desert safari and enjoyed every bit of the activities, entertainment, and BBQ dinner. Our royal treatment continued with a ride in a stretched air-conditioned limousine, a helicopter tour, and dinner at the Burj Al Arab Hotel. The whole experience was living a life like a royal.